You can see for miles and miles, over Folkestone towards France! Located on the south coast of Kent on the Southeast tip of England in an elevated position is Sea View, a detached house now requiring completion of works. It is a unique detached property and being an unfinished project it may allow the successful buyer the opportunity to complete it in their own taste and style. 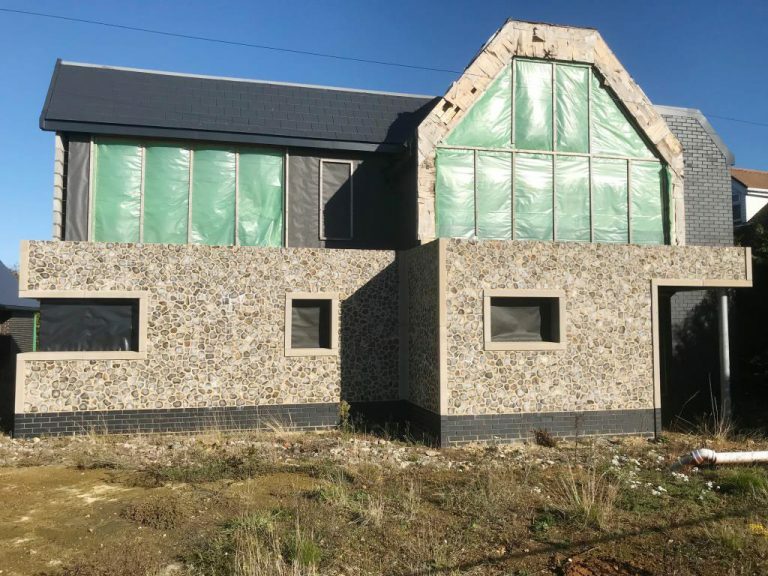 Part of the new build building is flint and there is also a detached garage/workshop which may offer potential to be converted to an additional dwelling, subject to all the necessary consents being obtainable.